As we said in our previous post, Today we are posting our 2nd MockUp of Apple MacBook Pro for free download. Complete project is royalty free, can be used for personal as well as commercial purpose. This mockup is useful for showing your website on it. 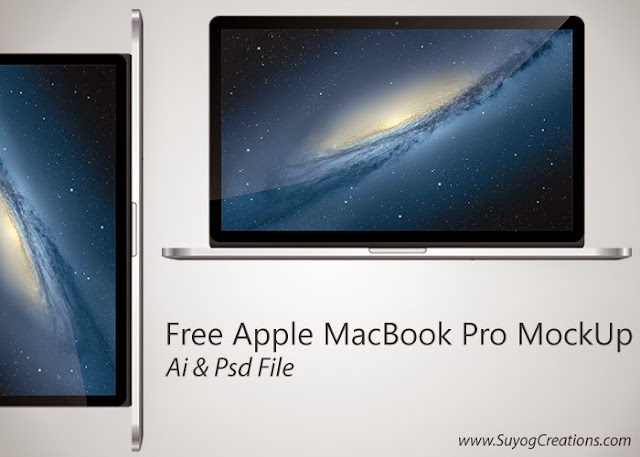 After downloading you will get Ai and Psd file of Macbook Pro Mockup. You just need to download and add your screenshot.